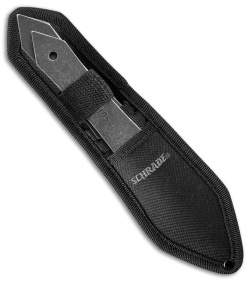 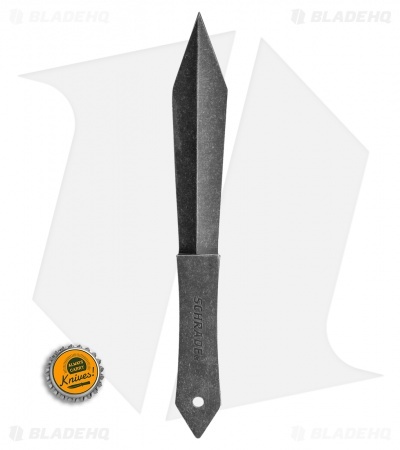 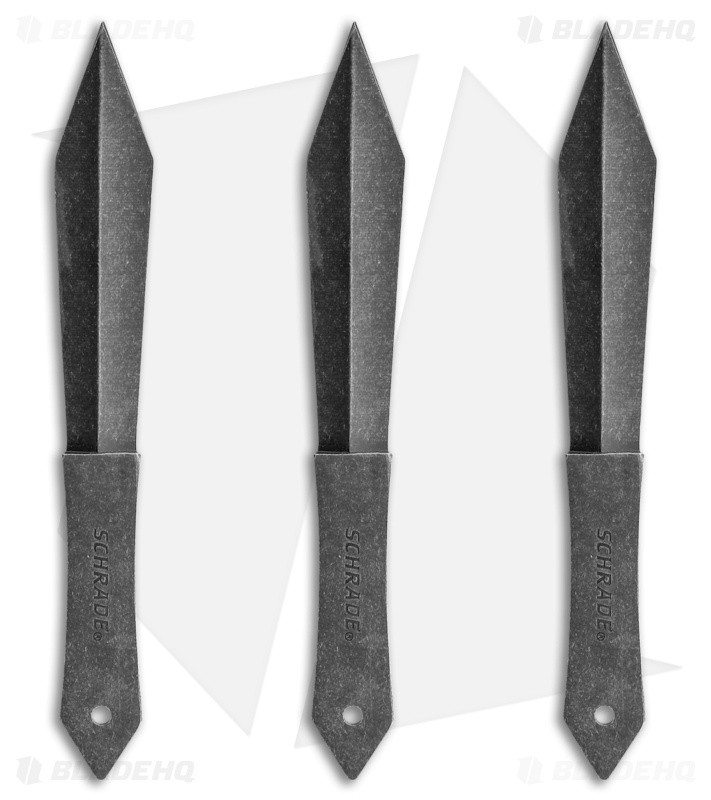 This 3-Piece throwing knife set by Schrade features old-world styling in a dark stonewashed finish. 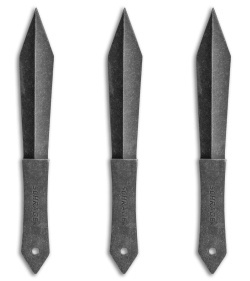 Each knife comes unsharpened so you can practice different throwing techniques without fear of getting cut. 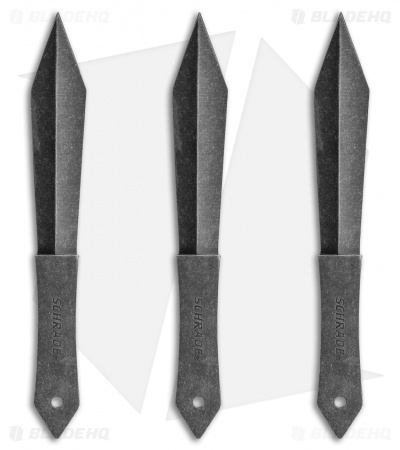 This fantastic throwing set comes with a woven fabric sheath for secure storage and carry.